Who is this woman and why is her head tattooed with a little Irish-looking guy? 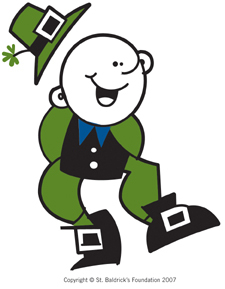 The little cartoon character is the mascot of the St. Baldrick’s Foundation, an organization devoted to making grants to research institutions to find new cures for childhood cancer. A made-up saint, the name Baldrick is used as a tie-in for volunteers to demonstrate solidarity with the kids who typically lose their hair during cancer treatments. 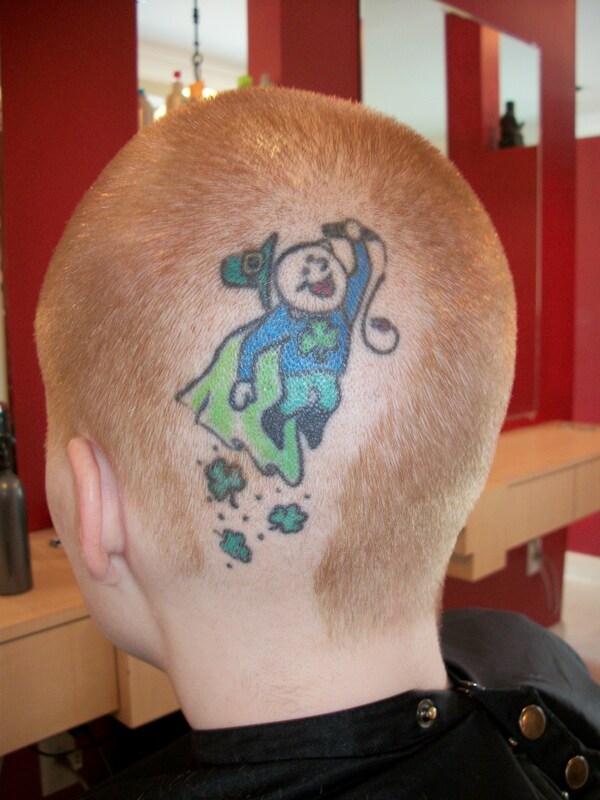 Since their first head-shaving event on St. Patrick’s Day in 2000, St. Baldrick’s has contributed more than $50.5 million dollars to pediatric cancer research and shaved more than 135,000 heads. 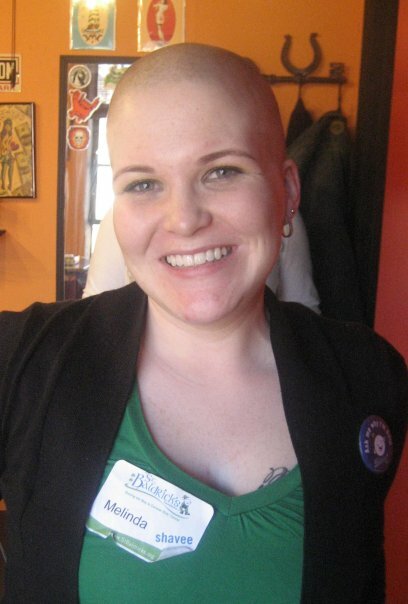 The lady with the shaved head is Mindy Barret, who took the hair shearing one step further by incorporating the foundation’s logo. 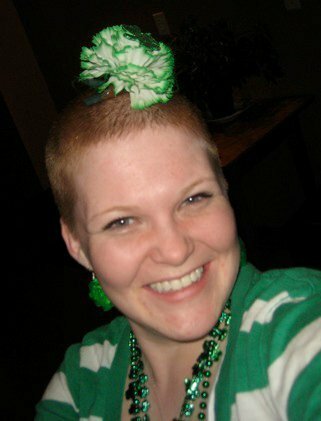 For more information on St. Baldrick’s, click on 2010 Media Kit. Daily Blog of Bob Baxter, editor-in-chief of tattooroadtrip.com and past editor-in-chief of the award-winning tattoo magazine Skin & Ink, for 14 years. WOW, EVEN MORE CALGARY PHOTOS! JUST ADDED TO THE WEBSITE: BIG 10 QUESTIONS!